Monument commemorating the very first Allegheny Observatory Director, Dr. Philotus Dean, on Pittsburgh's North Side not far from Allegheny Observatory. Most people are aware that the famous astronomer, Samuel Pierpont Langley, was the first Allegheny Observatory Director after the Observatory became the property of the Western University of Pennsylvania (which was renamed the University of Pittsburgh in 1908). Professor Langley went on to become the third Secretary of the Smithsonian Institution—considered the greatest scientific appointment in the United States, at that time (1887). However, before the Allegheny Observatory became an academic observatory in 1867, it was a public observatory owned and operated by the Allegheny Telescope Association. Beginning in 1864, three years after the opening of the Allegheny Observatory in 1861, another Pittsburgh educator served as the very first Allegheny Observatory Director: Dr. Philotus Dean. First Light of the 13-inch Fitz Refractor Telescope, at that time the third largest telescope in the world, occurred on 1861 November 27. On the 155th anniversary of the opening of Allegheny Observatory, former Buhl Planetarium and Observatory Lecturer Francis G. Graham writes about his visit to the monument and grave-site of Dr. Philotus Dean. Dr. Philotus Dean (1822-1871) was the first director of Allegheny Observatory. He also was the dean of Avery College in Pittsburgh, and principal of the Central High School, as well as professor of Natural Science. He was an outstanding educator most of all. 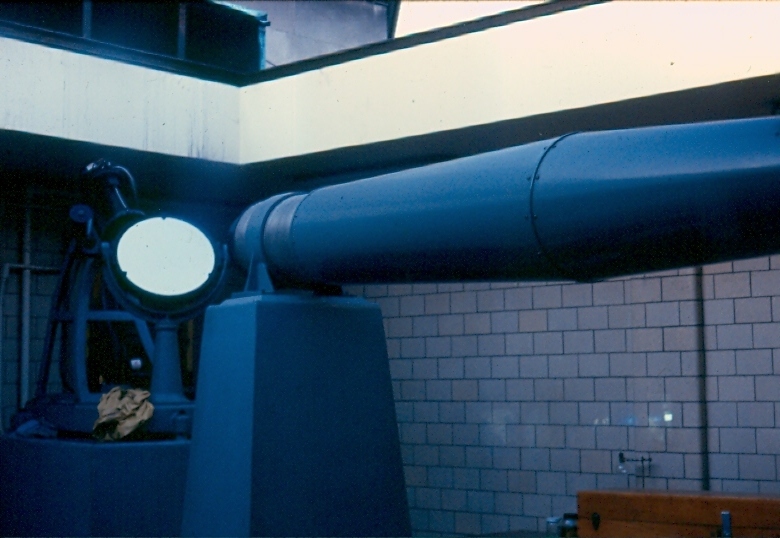 The anecdote that he chased amateur astronomers away from Allegheny Observatory with a shotgun is due to mistaken identity; the person who did that was a man named Lewis Bradley, according to careful research by Allegheny Observatory astronomer Wallace Beardsley (who also served as a Buhl Planetarium Lecturer). Anna Ferguson and I visited Philotus Dean's grave in Union Dale Cemetery, Lot M, on Brighton Road and Route 19, Pittsburgh on August 28, 2016, the 145th anniversary of his death. 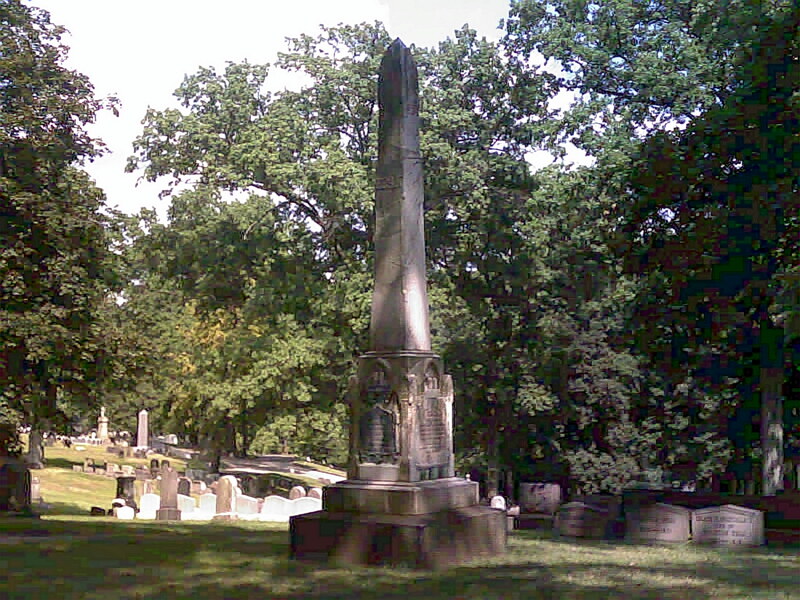 There is there a monument as well as his grave; the monument was erected by his grateful Central High School students. It is to be noted that Allegheny Observatory at its "new" site is visible from Union Dale Cemetery. "75th Anniversary: America's 5th Public Observatory." 2016 Nov. 19. "Centennial: New Allegheny Observatory Dedication." 2012 Aug. 28.
for SpaceWatchtower, a project of Friends of the Zeiss.